In the same week that LeBron James tried to justify his decision to ride Dwyane Wade’s coattails in Miami, we found a new king to embrace at Red Right 88 headquarters. Liverpool finally did the expected, signing Kenny Dalglish to a three-year contract to manage the team. 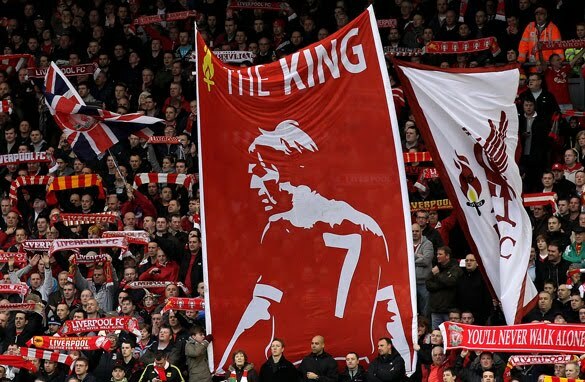 King Kenny took over a dispirited club in January that was languishing in 12th place in the Premier League table and turned things around, with the Reds on the verge of clinching a spot in Europe for next season. The night before, after Miami eliminated Boston in the second-round of the NBA playoffs, James “apologized” for kicking Cleveland in the collective yam bag last summer. What James doesn’t get – really what he never seemed to understand – is that he never had to do it alone. The owner, the team and the fans always had his back – probably more than any fan base in the history of sports. Think about it, who else ever was loved the way we once loved James? Does he really think he’ll ever get a reaction like this from the fans disguised as empty seats in Miami? Luckily, Dalglish has stepped up to take the sports throne that James so willingly abdicated last summer. So instead of running from a challenge, Dalglish decided to stay on and build “something special.” Too bad he wasn’t around to talk to LeBron last summer before free agency hit. On the day that Dalglish signed his contract, the first song that came up on our iPod shuffle at the gym was You’ll Never Walk Alone. It’s too bad LeBron never heard that one – things may have worked out differently if he had.